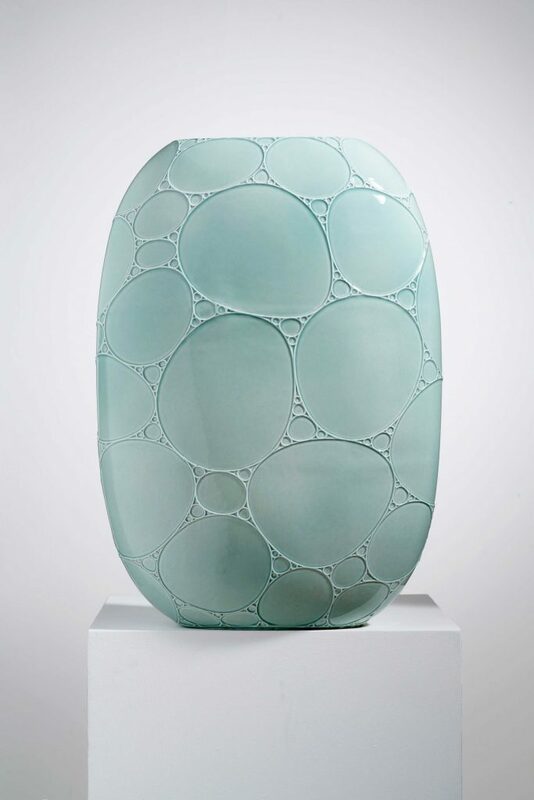 The Orzone Vase design consists of subdivided fractal bubbles that wrap around the surface of the object. 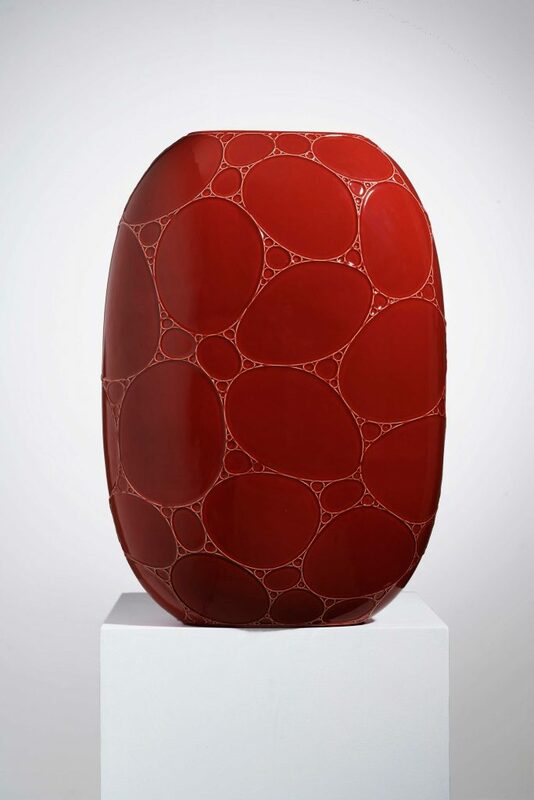 The concept is a continuation of previous studies born out of trips to study the cloisonné production around Beijing but inspired by Young’s interest in the techniques of liquid light shows decades earlier. 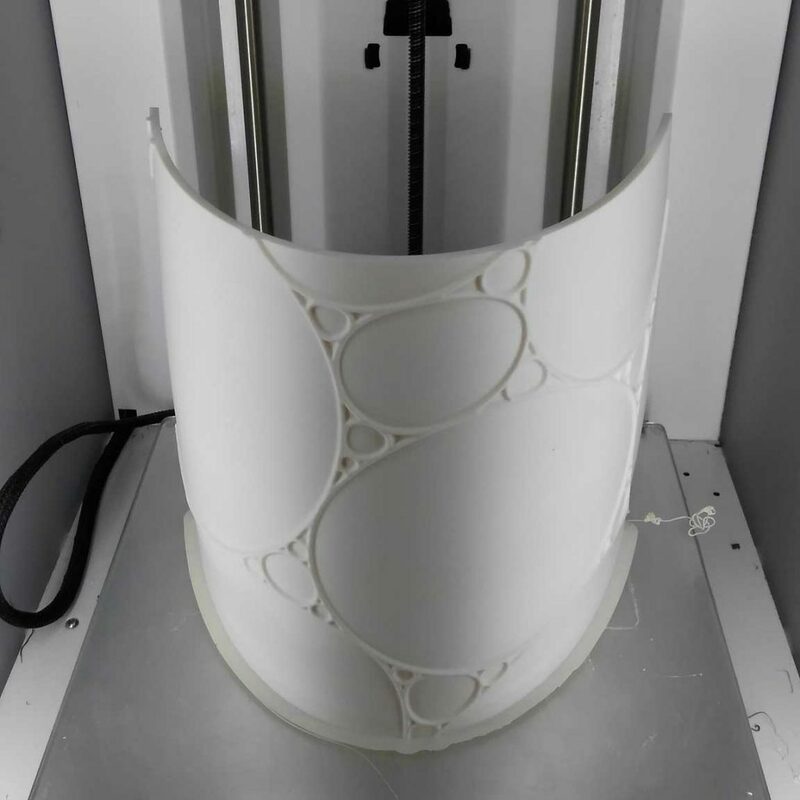 In order to turn these into three-dimensional reality, a 3-D printer was used to build male tools in Istanbul. From these, the factory must work purely by hand to maintain the delicate decorative lines prior to colouration. GORBON Ceramics was founded in Istanbul Turkey in 1957 by Prof. Dr. Rebii Gorbon. 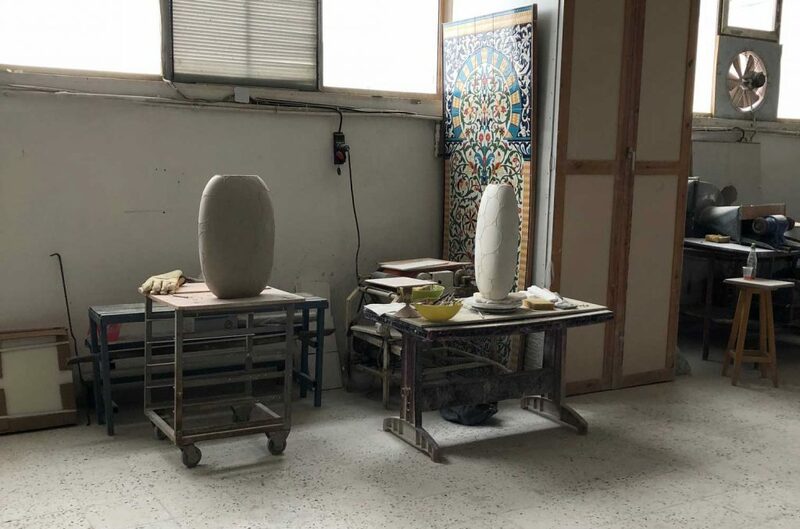 GORBON has been the leading company in Turkish ceramics market producing decorative handmade tiles for interiors and exteriors ad also dinnerware and giftware items. Today the company is led by Orhan Gorbon representing the third generation. Currently, GORBON is working with designers and architects all over the world and creating custom walls and objects in ceramics utilizing Gorbon’s full understanding of secrets of the unique colours and the durability of the tiles. Michael was responsible for rebranding the company and producing a range of commercial wall tiles and objects. 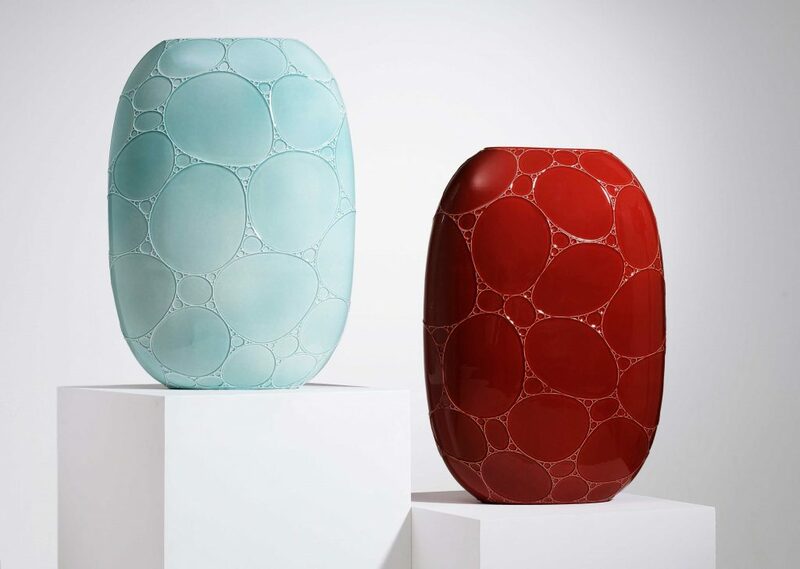 The vase was launched as part of a series during the 5th Edition of Design Shanghai 2018.